As a kid, Jackie Robinson loved sports. And why not? He was a natural at football, basketball, and, of course, baseball. But beyond athletic skill, it was his strength of character that secured his place in sports history. 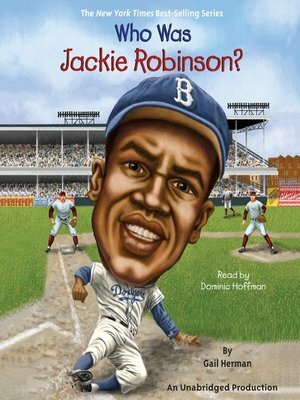 In 1947 Jackie joined the Brooklyn Dodgers, breaking the long-time color barrier in major league baseball. It was tough being first- not only did "fans" send hate mail but some of his own teammates refused to accept him. Gail Herman lives in Newton, Massachusetts. John O'Brien lives in Delran, New Jersey. Nancy Harrison lives in Allentown, Pennsylvania.